This unit covers the impact that the First World War had on Germany. This is an extremely complex area to study and is extremely significant to the way in which German society developed during the Inter war years. This section covers the social, economic and political impact of war along with a brief analysis of the physical cost of war. This particular unit does not make reference to the terms of the Treaty of Versailles in any particular depth as this will be noted in a separate unit. German society changed enormously as a result of the war. During the war the percentage of women in the workforce had risen to 37%, a massive rise. At the end of the war this figure did not fall dramatically, meaning that from now on women had a significant role to play in the German economy. The reaction of many Germans to the ending of the war also had a large impact on German Society. Many of the former soldiers were of the opinion that they had not lost the war, they believed that the army had been cheated. (Hitler later phrased this as ‘The Stab in the back’). As a consequence of this many Germans looked for people to blame. Some lay the blame in the hands of the Kaiser. Others, many others, looked to the new Government. They had immediately sued for peace and accepted the terms of the Armistice. For many Germans this showed that they were largely to blame. Other theories that were popular amongst the former soldiers were that it was the result of Communists or Jews. So in the immediate Post War era, there is a mass of suspicion within Germany. Combined with these factors is the potential threat to the social order. Under the Kaiser the armed forces and aristocratic Prussian elite had enjoyed many privileges. These groups now had to try and reestablish their authority. In a democracy this proves difficult and can lead to further tension. The first President of the Weimar republic, Ebert, worked hard to try and win the support of the elite groups. he wanted their support in order to maximise the stability of the new republic. Likewise he had to work hard to gain the support of the army, who in return needed his support if they were to survive as a significant political power in the years following the peace settlement. The cost during the war was bordering on $40 Billion. Consider the fact that there has been 85 years of inflation since this expenditure, in modern terms this figure would be closer to $1100 Billion (Source: http://eh.net/hmit/ppowerbp/pound_question.php). The German economy had suffered terribly during the war. Industrial output fell by over 40% between 1914 and 1918. Machinery was, at the end of the war, obsolete in many cases, run by ill trained people – remember that millions of working men had been killed in the war. 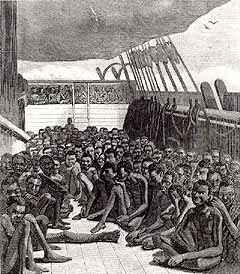 The workforce was not physically fit enough to work as hard as required as food shortages had been so bad that, “Germans ate dogs, crows, zoo animals and rodents, and even the front-line troops were reduced to meager portions of horse-meat.” Estimates suggest that up to 35% of all trade was organised illegally on the Black market. The economy also suffered from shortages of raw materials. From 1915 until the end of the war, Germans were forbidden to drive a car. The situation hardy improved as a result of the Armistice, the Germans hadn’t the means to purchase fuel on a large scale and found it difficult to purchase raw materials in any case as the international community shunned them as a consequence of the war. This is the most obvious area of change. It signalled the end of the Second Reich. The war led to the Kaiser being forced into abdication. This left a power vacuum that was filled first by an Interim Government and then by the Weimar Republic. However there were other political consequences of the war that may be less obvious. The food shortages across Germany led to a radicalisation of peoples views. As a result extremist views, such as communism, became widely supported, particularly in the industrial cities. In 1919 there were several Left Wing uprisings; The Spartacists attempting a revolution in Berlin and a short lived Soviet Republic was formed in Bavaria. The implications of these uprisings are great. 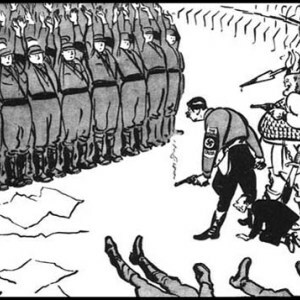 The government was forced to make use of a body called the Freikorps. 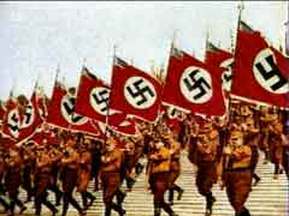 This group was made up of disillusioned soldiers, who were right wing in their beliefs. Some historians argue that the methods employed by the government at this early stage of its existence, led partially to the governments fall 14 years later. Germany was extremely isolated at the end of the war. Trade was hard to come by as most of her previous trading partners now sunned Germany, preferring to do Business with the victorious Allies. Likewise the Germans struggled diplomatically, most notoriously their views were ignored at the Peace conference at Versailles. The cost of the First World War for Germany is estimated to be in the region of $38 Billion. In addition to this consider the massive loss of life. Germany suffered the loss of 1.7 million young men, with another 4.3 million men being wounded during the conflict. The total casualties amounted to over 7 million, though this includes some men who were prisoners or listed as missing. In this site, Professor Bernd Huppauf of New York University offers some insights into the way that the war affected peoples outlook. After reading through Professor Huppauf’s comments go on to read through some of the comments made by other leading historians about the war. Not all comments are specific to the way that Germany was affected but are, in general, statements that are applicable to Germany in much the same way as they are to any of the countries who were devastated by this war. Another link to the PBS interviews section. Here you’ll find an explanation of how the post war era was one filled with disillusionment. An intriguing read that helps to place many later events in context. Notes on the Impact of the First World War on Germany. from King David’s High School. This diagram shows the actual cost of the war, in US Dollars. From this you can compare the relative cost of the war for Germany. Though this page looks at the reasons for the German defeat in the First World War you can see from this analysis that there was a significant impact on Germany. Certainly this site will help you to realise how devastating the war had been. This analysis of the German economy in the first 4 post war years illustrates the impact that war had upon economic life in Germany. A comparison of the ways in which the British and German governments reacted to the worsening food shortages in the latter stages of the war. This site looks at the impact of the food blockade during the war and in the years immediately following the conflict. Statistical evidence is offered illustrating the impact that the blockade had on the health of the German people. This can then be compared with other famines that have occurred within the last 100 years.